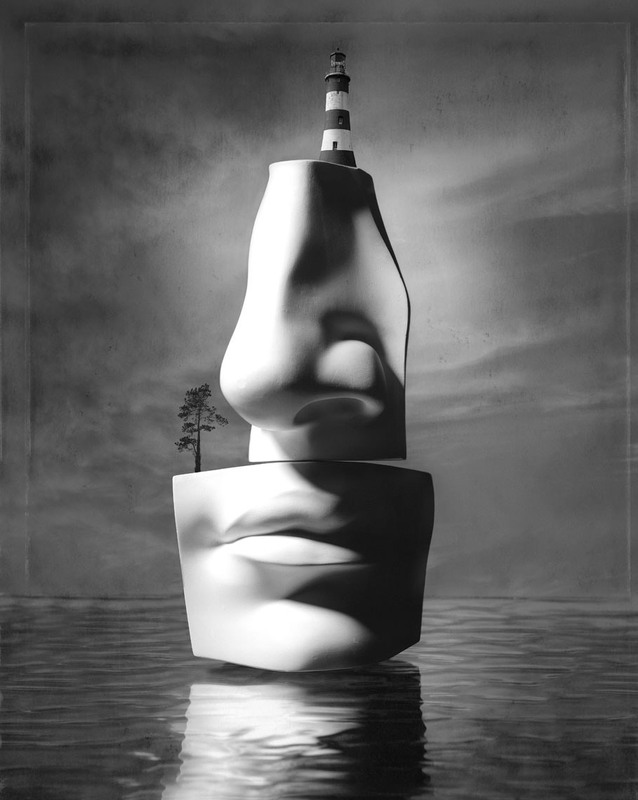 Nose Island - A surrealist photograph reminiscent of a painting by Salvador Dali. The photograph of the plaster castes ( nose and mouth ) were made in the studio on 4" x 5" Polaroid Type 55 film. The lighthouse and tree were added in Photoshop. The lighthouse is Smeatons Tower from Plymouth in South Devon, UK. This was the first image created by Paul Biddle for his Fantasy Island series.